Ce n'est pas parce qu'elle ressemble à, quelle n'est pas ... !! A ce que je vois Rob, le fait d'avoir perdu ta voix, joue des tours à tes doigts, ou à tes yeux ... !!!! Le roman Phalanx de Ben Counter sort en avril prochain, du coup la BL a fait une petit focus hier sur son blog avec une bref extrait. “Bolts sheared. Metal bands fractured. Sarpedon’s lower body ripped itself free. He thrashed one arm free in a matter of seconds – the orderlies starting back at the sight of their captive’s lower limbs slashing around him. Sarpedon reached up to the head restraint and tore it off its moorings. He rolled off the slab and sprawled on the floor. The drugs in his system were still powerful enough to rob him of his coordination and he could not get all his legs moving him in the same direction at once. He yanked the remaining arm free just as the Apothecary drew his plasma pistol. 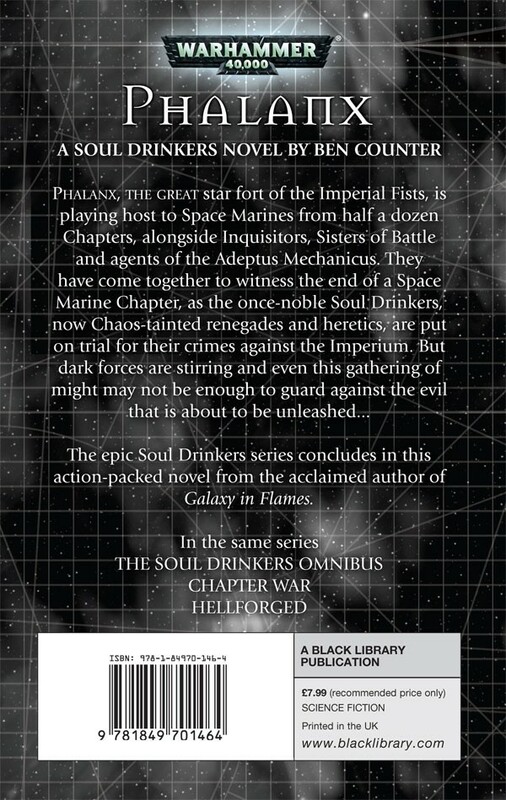 What will happen when the Soul Drinkers are put on trial? We’re willing to bet that it’ll involve blood, daemons and a lot of bolter shells being fired. Sounds good to me. Intéressant tout ça mais ça nous dit seulement qu'après un long moment d'absence la série des Soul Drinkers reprend du service en Anglais avec une suite depuis longtemps attendue. Par contre je vais peut être reposer une question déjà posée à maintes reprises mais des nouvelles d'une future sortie de cette alléchante série en VF ? Lorgar a écrit: Par contre je vais peut être reposer une question déjà posée à maintes reprises mais des nouvelles d'une future sortie de cette alléchante série en VF ? Un extrait du roman est maintenant proposé en ligne ! Ben s'il y a un épisode suivant va falloir en inventer des trucs.. ça fini très mal pour les SD.. il en reste 3 qui partent dans le Warp.. ça fini aussi pas mal.. mal pour les imperials fists ( ça fait plaisir de voir que les Ultra sont pas les seuls a recevoir en ce moment. Il est vrai que ça doit être sympa de suivre la déchéance d'un chapitre sur une série de roman. Was it only a month and a bit ago that I had a little rant about mediocre cover art and Ben Counter’s ‘Phalanx’? Yes, yes it was. ‘Phalanx’, the great star fort of the Imperial Fists (Great? 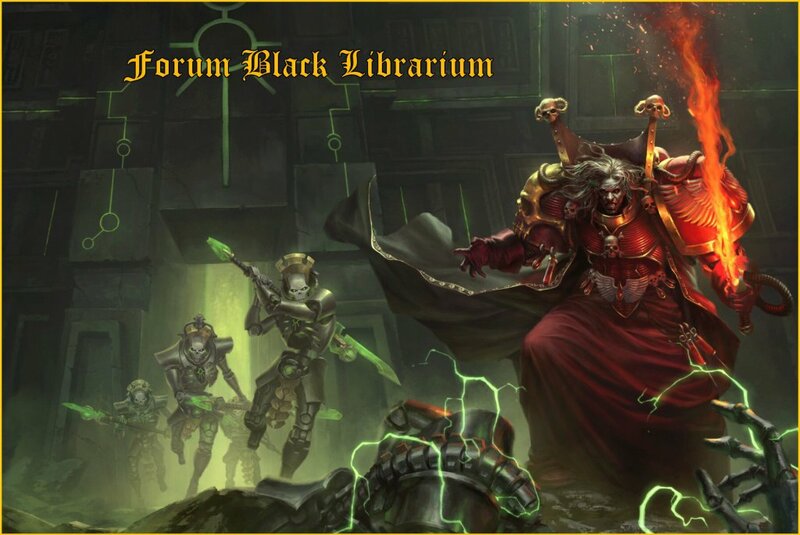 More like very dull… ok I’ll stop all that now) is the venue for a solemn and sorrowful event attended by Space Marines from many other Chapters as well as Inquisitors, Sisters of Battle and agents of the Adeptus Mechanicus. What is left of the once noble Soul Drinkers Chapter stands trial for crimes of heresy against the very Imperium that birthed them. The sentence for their crimes is death and their guilt is beyond any doubt but other forces are gathering that would use the Soul Drinkers for their own purposes. Can redemption finally be found in one last great battle or will the ‘Phalanx’ birth an evil that will swamp the galaxy…? ‘Phalanx’ is the last book in the ‘Soul Drinkers’ sequence and, as luck would have it, the first book in the sequence that I have picked up. 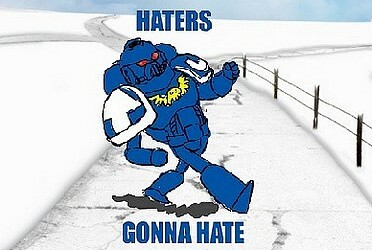 That in itself isn’t such a huge deal though. With five preceding books in the series it’s obviously advisable to go and read those first but if you do end reading ‘Phalanx’ before the others then don’t worry too much. What you have here is a relatively self contained story, that actually stands very well on its own, with references to prior events that tie things together without becoming ‘info-dumps’. I’d love to read the previous books in the series but suspect that I probably won’t have the time for a long time to come. ‘Phalanx’ being set out as it is then is a real boon for the likes of me. The fight between Space Marines Reinez and N’Kalo (to determine whether the Soul Drinkers would have N’Kalo speak in their defence) dragged on far too long to be really effective as far as I was concerned. After a couple of pages I’d had enough and also felt that the final judgement was a bit of a foregone conclusion really (it could have ended things a lot earlier). I also found myself wondering about the exact size and dimensions of the ‘Phalanx’ itself, not a great thing to be wondering when you really should be well into the book. Counter doesn’t make an awful lot of the size of the star fort and so it became a little jarring when I took in the full size of the host that wanted to take it towards the end. How big is this thing that it could fit a… well, that would be telling but I really wanted to be in the midst of the book itself and not wondering about things like that. The real meat of ‘Phalanx’ though is in another theme entirely and that had me not only wanting to see how events played out but also investing a lot more in the much-maligned Soul Drinkers Chapter as a result. These warriors have been touched by the taint of Chaos but haven’t given themselves over to it… yet. The Soul Drinkers seek to make the Imperium a better place by going against everything that it stands for, a structure so rigid that any deviance is punishable by death. You can’t help but admire the resolve of characters like Sarpedon to stand up for their beliefs in the face of execution. Counter’s masterstroke though is to place this steely resolve in direct contrast to a wider plot that has been playing out in secret. Can Sarpedon and his men still hold true to their beliefs when doing so could see their galaxy become a very different place indeed? The answer makes for some compelling reading and at just the point where it really matters.